ServiceMaster Restoration by The Griffin Company provides multidisciplinary cleaning services, fire damage repair, water damage restoration, disaster restoration, mold remediation, smoke and odor removal, and construction services near Mobile, AL. We at ServiceMaster Restoration are the ONLY mitigation and construction provider in Mobile and Baldwin counties offering a single point of contact to restore your peace of mind after a disaster, including fire damage and water damage. We offer service to Mobile, Theodore, Prichard, Eight Mile, Saraland, Satsuma, Irvington, Grand Bay, Bayou La Batre, Semmes, Daphne, Fairhope, Spanish Fort, Point Clear, Foley, Gulf Shores, Orange Beach, Loxley, Stapleton, Elberta, Seminole, Lillian, Magnolia Springs, Bon Secur, and Perdido Keys and surrounding areas. 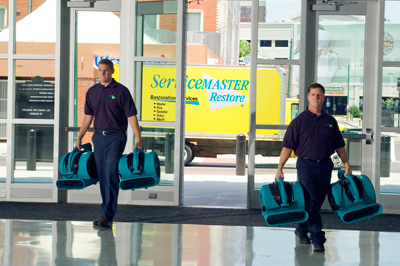 With more than 4,500 franchises around the world, ServiceMaster Clean and ServiceMaster Restore have been in the cleaning and disaster restoration business for more than half a century. We help you get clean and stay that way, at work and at home. We promise to do the job right or do it over. Our service is prompt and the work is done to your satisfaction. Call today for emergency water damage restoration, fire damage restoration, mold remediation and disaster recovery near Mobile and Baldwin, Alabama Counties and surrounding areas. 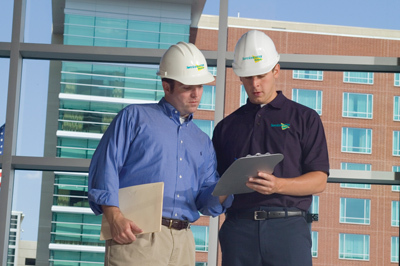 We are proud to be a member of ServiceMaster Family. The ServiceMaster brand is well known internationally for not only quality professional services but also for making customer service our number one priority. Please call our office to obtain references if needed before choosing us to handle your fire damage repairs, water damage restoration, disaster restoration, mold remediation, smoke and odor removal, and construction repair services. 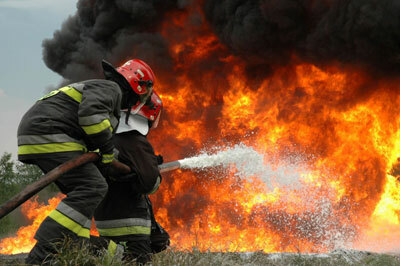 We work to take quick action after a fire can to help keep your possessions from becoming unsalvageable. Our trained restoration technicians use advanced procedures and equipment for the highest level of cleaning performance and protection for property and furnishings. As a licensed general contractor, we can restore nearly any structure and perform everything from basic repairs to complete renovations.